LONDRES (AFP) - Deux marins ont été tués mercredi dans un accident à bord du sous-marin nucléaire britannique HMS Tireless, a annoncé le ministère de la Défense. 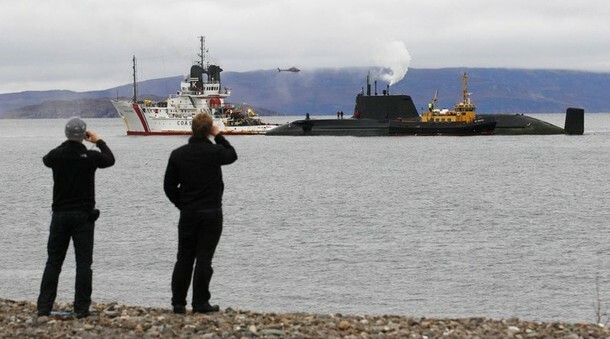 Le sous-marin, qui croisait dans l'Arctique "n'a jamais été mis en danger, son réacteur nucléaire n'a pas été touché, il a rapidement fait surface et est en totale sécurité", a précisé le ministère dans un communiqué. Le Tireless ne transportait aucun missile nucléaire, a précisé le ministère. Deux sous-mariniers ont trouvé la mort lors de cet accident, et un troisième a été blessé. Il a été transporté par air dans un hôpital militaire américain et sa vie n'est pas en danger, a encore indiqué le ministère de la Défense. "A ce stade préliminaire on estime que l'accident a été déclenché par une pièce d'un équipement de purification de l'air à l'avant du sous-marin", précise le communiqué qui indique que les dommages causés au compartiment avant sont superficiels. Cette hypothèse a été étayée par des déclarations de la porte-parole de l'US Navy Li Cohen à l'AFP. Li Cohen a précisé que l'accident était dû, selon elle, à l'explosion à l'avant du navire d'un appareil d'oxygène de secours faisant partie du système d'aération. Le sous-marin prenait part lors de l'accident à des manoeuvres conjointes avec les forces américaines. Il se trouvait immergé sous la calotte glaciaire, mais l'équipage a réussi à le ramener rapidement en surface. L'équipement à l'origine de l'accident est présent dans de nombreux sous-marins britanniques de cette classe et son utilisation sera restreinte jusqu'à nouvel ordre, précise le ministère. Le Tireless a été lancé en 1985 et la pièce en question a été ajoutée en 2001. La plus grande catastrophe de l'histoire des sous-marins nucléaires remonte au 12 août 2000 lorsque 118 marins du sous-marin russe Koursk avaient péri par 109 mètres de fond. 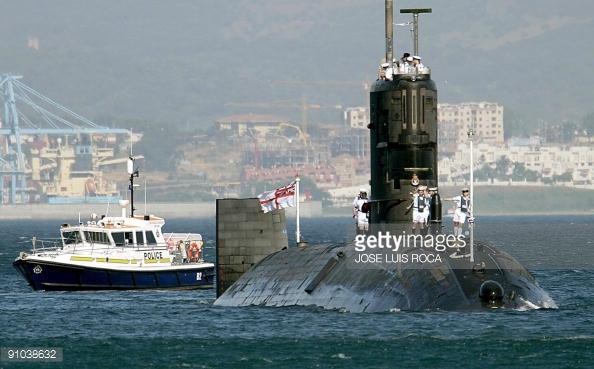 Le sous-marin britannique HMS Tireless dans le port de Gibraltar le 9 juillet 2004. HMS Astute - The Royal Navy’s newest super-submarine. 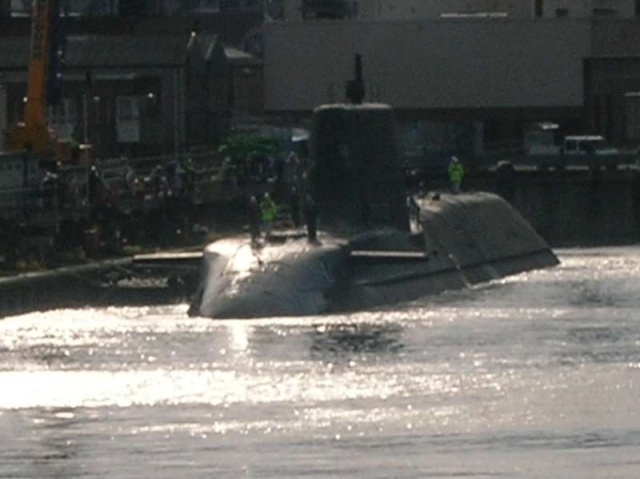 Astute is the first nuclear submarine to be launched in the UK for almost a decade. 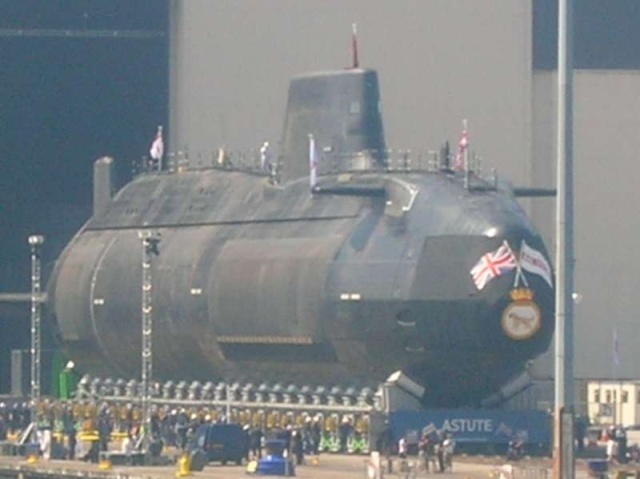 She has been built in the UK using the latest and most advanced naval engineering techniques. Construction has been described as more complex than that of the space shuttle. Far bigger and more potent than the current class of attack submarines, this super stealthy vessel is almost 100m long, and weighs 7,400 tonnes. She will never need to be refuelled and her advanced on-board life support systems mean she can circumnavigate the globe without needing to surface. 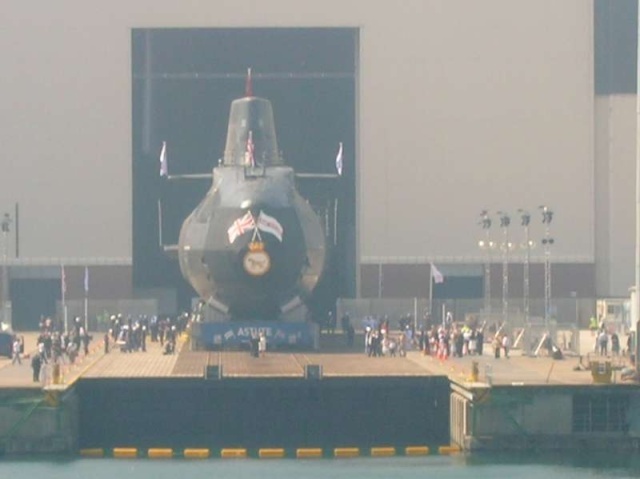 "She is about 2000 tonnes in displacement greater than a normal submarine but she is about half the size of the Vanguard Class submarines so we’re very used to operating submarines of this size. Submariners are all trained to the same high level, whatever boat we’re operating and the operation of a boat is broadly the same." "Not having a periscope will be the biggest challenge for me. We’re taking a submarine to sea for the first time with the optronics system and this is a new and unproven capability, but when I say unproven, I mean unproven to the Royal Navy at sea, but it is proven to other navies and so I’m not envisioning problems, but it is a challenge." "She is a bigger boat, but with a smaller crew because of the advances with engineering meaning less people are required to maintain her, less people needed in weapons stowage and a general drive to drive down the manpower needed for submarines. "Nuclear submarines clearly operate at the highest end of the war fighting capabilities of the Armed Forces. At the beginning stages of a conflict Astute could be used for intelligence gathering. She can carry Tomahawk missiles, which can travel 1,000 miles, that can be used at any stage of a conflict for coercion and deterrence. "And then she can used in support of maritime task groups and act independently as part of the key cornerstone of defence policy, expeditionary warfare." "I’ve been living and breathing it for nine months," he explained. "It’s a massive privilege to command her. Of my generation it’s everyone’s dream to command a 1st in Class submarine. I commanded HMS Tireless a few years ago and thought that would be the greatest honour I’ve ever had, but looking back now it’s an incredible thought that we’re taking this boat to sea." "Between today’s launch and the sea trials there is still a significant amount of testing to be done," Commander Walliker continued. "Testing the systems in the water, and we also need to undergo a sustained amount of sea training and practising while the boat is alongside. "In mid-March next year we are due to begin sea trials, but the key date for me is due to be the end of August 2008 when the boat raises the white ensign for the first time and joins the Royal Navy. After that another 12 months of sea trials are expected." "I am delighted to be here to see the launch of Astute. She is the first of a class of hugely impressive vessels which will give the Royal Navy the world class capability it needs to protect the UK and her interests across the globe in the 21st century. 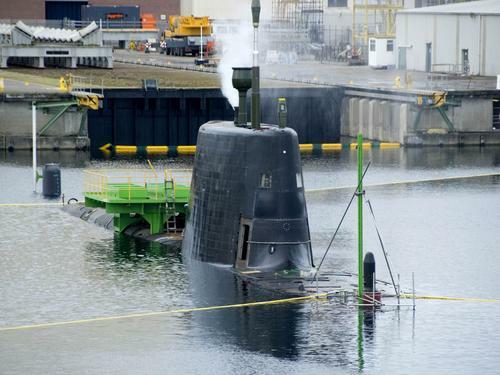 "Astute is a truly remarkable vessel, and her importance cannot be underestimated. I am pleased that through the Maritime Industrial Strategy we are working closely with British industry to ensure that we have affordable, viable, and vibrant submarine design and manufacture skills, both now and in the future." Astute is the first vessel of four in the Astute class. The other three are Ambush, Artful and Audacious. In keeping with naval tradition, Astute will become HMS Astute once commissioned and in-service. The ceremony this week launches her as Astute. HMS Astute on the shiplift ready for launch the very first Astute class submarine, 8 june 2007. 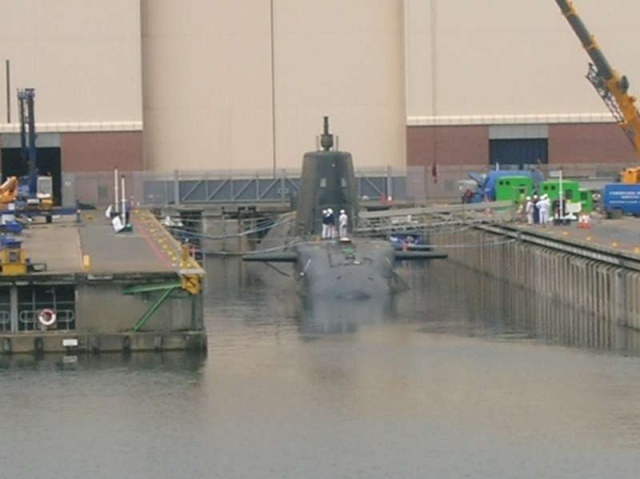 One week late, HMS Astute has made it into the water. She still has to be moved away from the shiplift though. 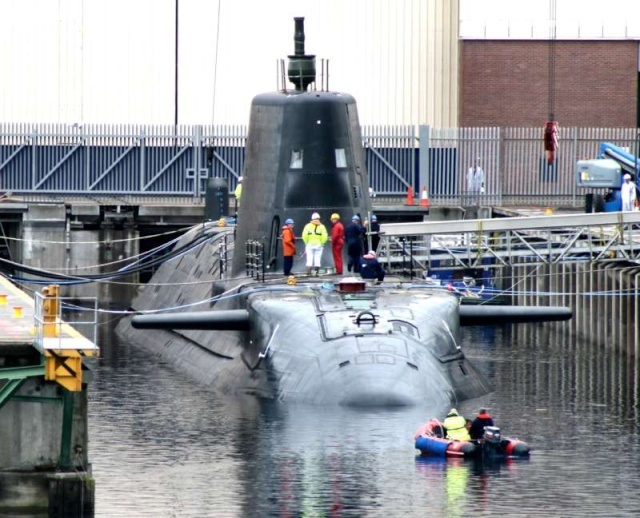 HMS Astute finaly in the water in barrow. 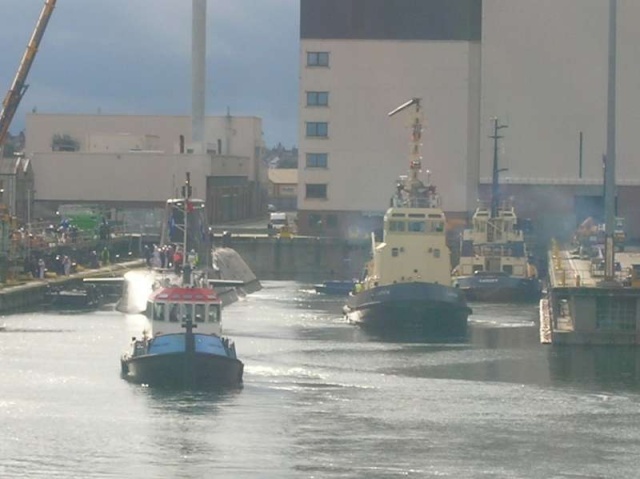 HMS Astute in her final docking stage with tugs escorting her. 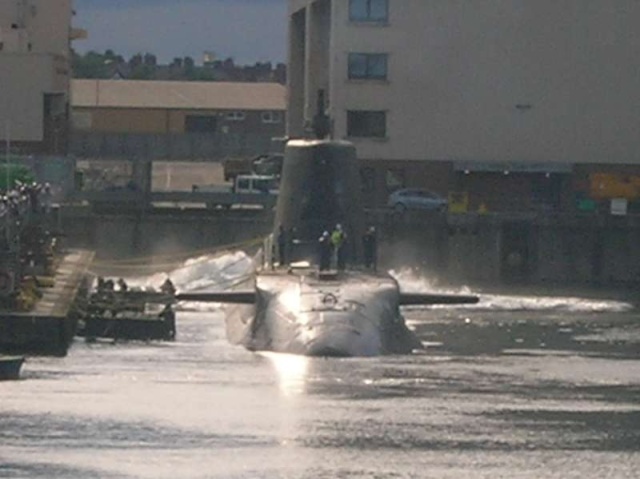 HMS Astute in her final docking stage. 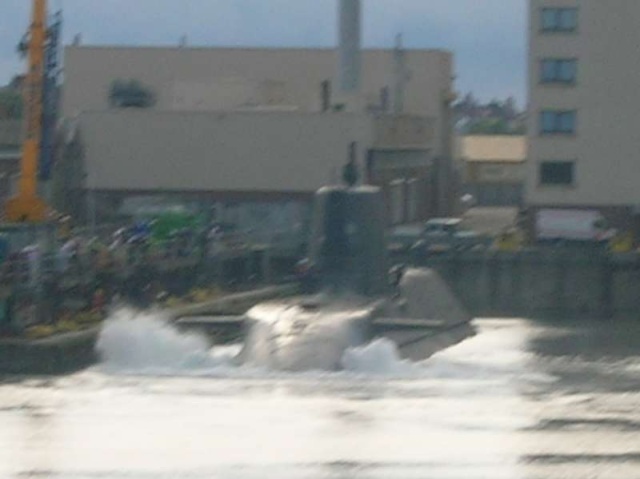 HMS Astute on the move to the dockside. The Royal Navy’s newest and most advanced nuclear submarine, Astute, is taking her first dive for an underwater test of her systems. 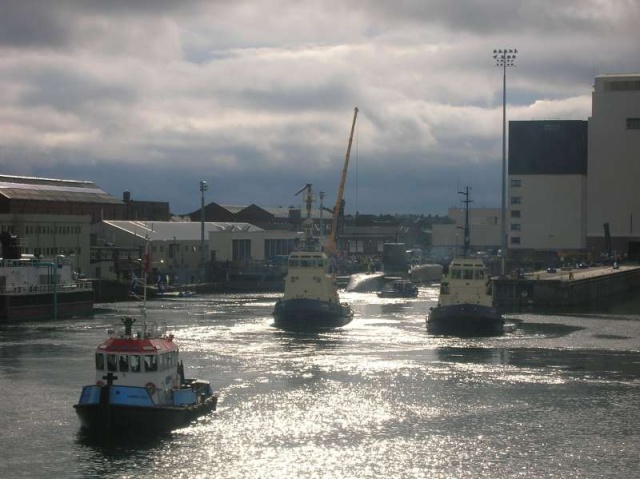 The ‘Trim and Basin Dive’ is taking place in Devonshire Dock, Barrow, over two days, and involves submerging Astute in a dive hole large enough for the 100M-long, 7400 tonne boat. 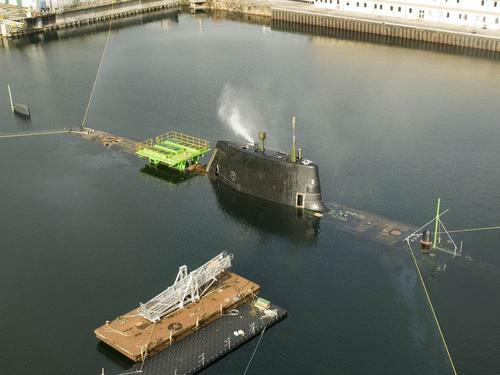 The dive is the first time that the submarine has been fully submerged, and provides the opportunity to test the submarine’s underwater stability and systems. 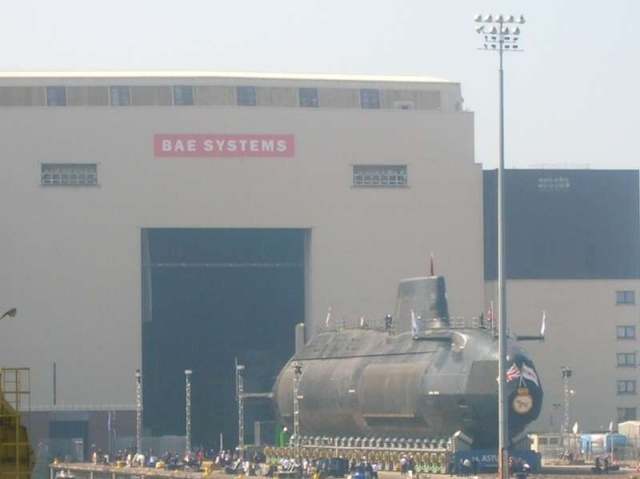 25 of her crew are on board alongside BAE Systems technicians to carry out the tests. Tests include trials of various boat systems and equipment including the mechanism that releases an emergency buoy, the emergency escape tower, and various hydraulics and electrical systems. 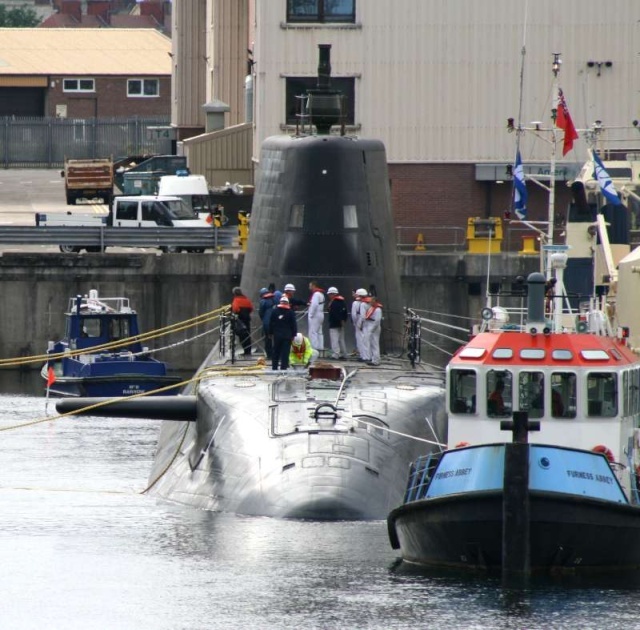 After completing the dive, Astute will be docked and taken back into Devonshire Dock Hall. The next stage will be to calculate her stability, weight and buoyancy. HMS Torbay has returned to Devonport Naval Base following a lengthy Revalidation Assisted Maintenance Period (RAMP) in Faslane, Scotland which has lasted a total of 14 months. During this maintenance period HMS Torbay received upgrades to her sonar and communications suite, which will now allow the submarine to receive e-mail and access the internet whilst dived. She now has the ability to fire Tomahawk Land Attack Missiles and the Block IV missile. During her time in dry dock she was repainted her unusual blue colour. HMS Torbay will start sea training this month and is scheduled to deploy later this year. The nuclear-powered submarine HMS Talent will visit Portland this Wednesday (15 October) for a five-day visit in support of the strong ties the service enjoys with the Dorset community. During her stay HMS Talent will welcome guests onboard including local VIPs and dignitaries, potential submarine service recruits and a group of young engineers working within the defence industry. HMS Talent’s Commanding Officer, Commander David Lightfoot will be visiting Councillor Tim Munro the Mayor of Weymouth and Portland, and Councillor Sandra West the Mayor of Portland Town Council, before hosting an evening reception for 40 guests. The schedule will allow the crew rest and relaxation before welcoming the young engineers on board on Friday, and the potential recruits on Saturday. The crew will challenge Weymouth Football Club Academy on Friday afternoon. There is, however, a sombre purpose to the visit, to honour those who lost their lives when HMS Illustrious’ tender was swamped in heavy seas in Portland Harbour on October 17, 1948, with the loss of 29 lives. A special memorial service for the 60th anniversary of the tragedy will be held at All Saints’ Church Easton in Portland on Sunday morning, when the submarine’s crew will be joined by Rear Admiral Bob Cooling, Assistant Chief of Naval Staff. 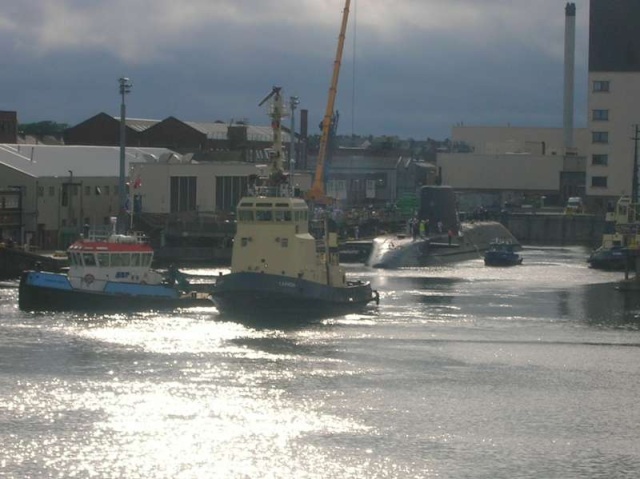 HMS Talent’s stay in Portland follows the highly successful visit of HMS Sceptre in April, and that of HMS Tireless in October last year – when she became the first submarine to sail into the town since 1991. 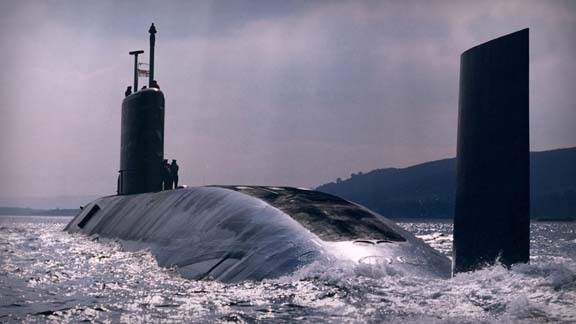 The sixth of the seven-strong Trafalgar class hunter killer submarines, built in Barrow In Furness, HMS Talent was commissioned in 1990 by the Princess Royal. 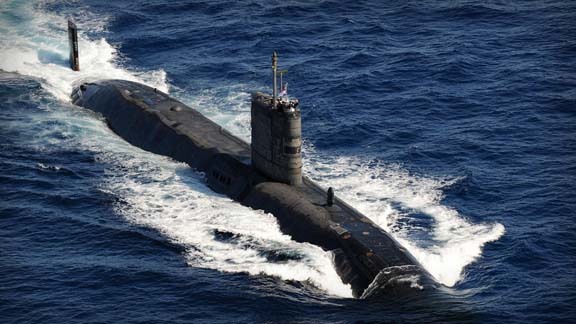 HMS Talent is nuclear powered but conventionally armed submarine. Her nuclear powered propulsion means she has great endurance without having to re-fuel. She is 85.4 meters long and has a beam of 9.8m. She weighs 5,000 tonnes. The submarine recently completed a successful maintenance, refuel and up-grade which renewed her reactor core and fitted her with a new command system and ensures HMS Talent remains capable of conducting any task called upon her well into the 21st century. 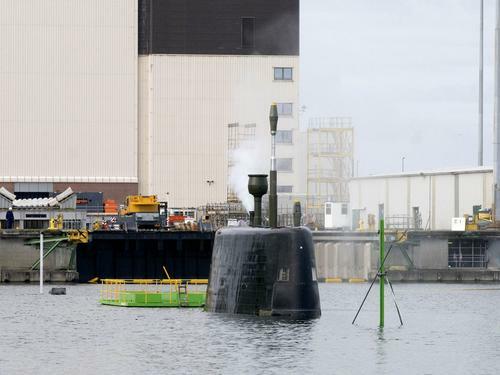 Le plus récent modèle de sous-marin à propulsion nucléaire de la Royal Navy s'est échoué vendredi au large des côtes de l'Ecosse, a annoncé le ministère britannique de la Défense (MoD). "Il n'y a pas d'incident nucléaire", a déclaré un porte-parole du ministère. Le personnel n'est pas blessé et aucune fuite n'a été détectée. 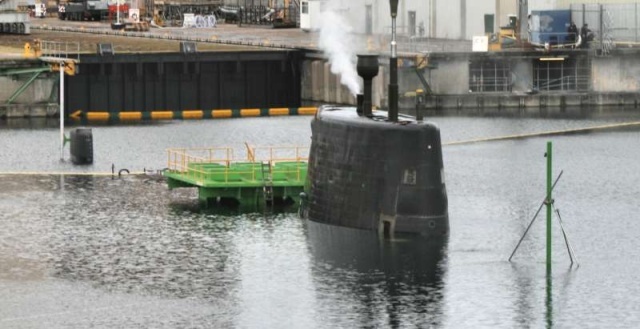 Le ministère de la Défense a déclaré qu'il s'agissait d'un sous-marin de la nouvelle classe Astute, ajoutant qu'il ne transportait pas d'ogives nucléaires. Le HMS Astute est la tête de série d'une nouvelle classe de sept sous-marins commandés au groupe BAE Systems. Il effectue des tests en mer avant sa mise en service. La classe Astute remplacera progressivement les classes Swiftsure et Trafalgar dans les prochaines années. La garde-côtes a été alertée vers 07h20 GMT et a dépêché un remorqueur sur place. D'après elle, le submersible semble avoir eu des problèmes dans une zone de récifs au large de l'île de Skye, dans le nord-ouest de l'Ecosse. "C'est une affaire gérée par le ministère et nous avons un bâtiment d'urgence prêt à intervenir", a déclaré un porte-parole de la garde-côtes. "Il est échoué, on n'aperçoit que les extrémités de son hélice", a dit un habitant de la région à la BBC. "Tout à l'heure, ils avaient des câbles et essayaient de le remorquer." En 2002, un autre sous-marin, le HMS Trafalgar, s'était déjà échoué au large de l'île de Skye pendant des manoeuvres. Deux membres d'équipage avaient été légèrement blessés. ""cheminée"" comme sur les photos des essais.Peut-être que l'officier de quart a été aveuglé par le nuage de vapeur d’où échouage!! !